Indira Gandhi National Open University (IGNOU) and Chinmaya International Foundation is offering an online Sanskrit course for beginners. This is an online course and is primarily meant to help those who are interested in learning the basics of Sanskrit. The course is not free – the course fee for Indian citizens is Rupees 1500/- and for foreign citizens it is $150. This is an Online Certificate Programme in Sanskrit. IGNOU Certificates are recognized by all the member institutions of the Association of Indian Universities (AIU) and are at par with Certificates of all Indian Universities/Deemed Universities/Institutions. The last date of the course has been extended to June 10, 2011. The course will begin from July 2011. 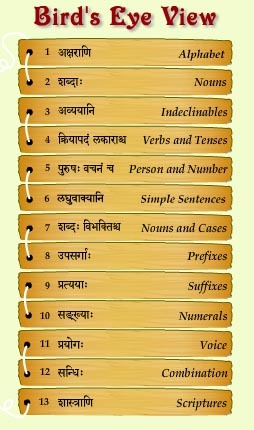 You can find more about the Online Sanskrit Course here at the official website of IGNOU Sanskrit.